Converging on the 2.46-mile road course at Watkins Glen on its traditional August state of New York weekend, the NASCAR Sprint Cup Series is assembling for the Sunday's Heluva Good! Sour Cream Dips at The Glen race. Held in conjunction with the preparations of the Sprint Cup Series is the NASCAR Nationwide Series as well as the Grand Am Rolex Sports Car tour. With the many NASCAR regulars assembled within the unfamiliar confides of a road course, the services of road racing professionals are called in as participants in the two major NASCAR organizations. For three Canadian drivers, their proficiency in handling twists and turns have earned them a call for various stock car race teams. Watkins Glen, Ron Fellows, Andrew Ranger and JR Fitzpatrick will battle in one or both NASCAR events as "Road Race Ringers". Possessing a winning record in competition at the Watkins Glen course, accomplished Canadian driver Ron Fellows has again been a sought-after wheelman. Winning 6 NASCAR-sanctioned road course races, 5 of Fellows' victories were earned on the Watkins Glen track in either the Nationwide or truck series. Reteaming with JR Motorsports for the 2011 Nationwide Series season road courses, the driver/ownership pairing 4th season together comes with sponsorship from Canadian retail giant Canadian Tire covering the Chevy Impala. Ron Fellows will be making what is expected to be his only NASCAR Sprint Cup Series appearance in Watkins Glen, New York. For the Heluva Good! Sour Cream Dips at The Glen, Fellows will be driving the Tommy Baldwin Racing #36 Chevrolet Impala for the second year in a row. In last year's event, Ron Fellows and the #36 car team retired just past the halfway point suffering suspension breakage. Fellows has finished in the runner-up position twice (2000 and 2004) at Watkins Glen in the 90-lap NASCAR Sprint Cup Series contest. Competing in the NASCAR Nationwide Series event in the #53 Waste Management Dodge, the Watkins Glen weekend will also see the debut of French-Canadian driver Andrew Ranger in the NASCAR Sprint Cup Series. To drive the #32 Ford for Frank Stoddard Racing, Ranger will be wearing Bully Hill Vineyards sponsorship. As a race team backer, Bully Hill Vineyards is a motorsport mainstay that was ridden to Watkins Glen's victory lane in previous years by Canadian Ron Fellows. A former open wheel driver, Andrew Ranger has been fighting to earn respect as a stock car racing star. A resident of Roxton Pond, Quebec, Ranger's stock car presence is becoming best expressed on road courses. 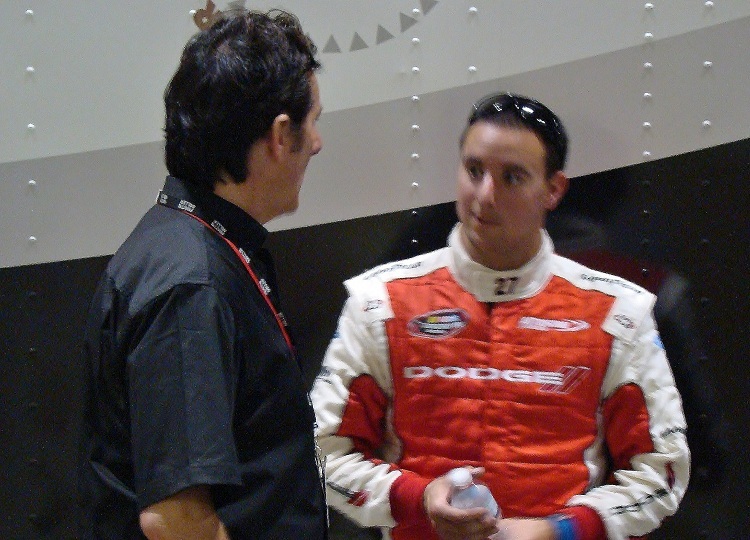 Winning multiple times on the NASCAR Canadian Tire Series (including the 2011 Honda Indy Toronto stock car event), other series Andrew Ranger have added as a conquest to his career were the NASCAR K&N Pro Series East and West divisions as well as the ARCA Racing Series with a May win at New Jersey Motorsport Park. Ranger's best finish in the NASCAR Nationwide Series is a 3rd at the Circuit Gilles Villeneuve event in 2009. A talented stock car racing star from Cambridge, Ontario, Canada, JR Fitzpatrick has demonstrated his skill on multiple occasions on ovals. Yet, Fitzpatrick is still regarded as a road race ringer on the basis of his Canadian stock car racing experience. On the NASCAR Canadian Tire Series tour, road and street course play a much heavier role in the championship with 5 of 12 races for the 2011 season. For 2011, JR Fitzpatrick has been able to make more NASCAR Nationwide Series runs after teaming up with the newly-formed #67 Go Canada Racing organization. This season, Fitzpatrick's best effort with the freshman Go Canada Racing team was a 10th place result at Road America. Racing for a third year at Watkins Glen, JR Fitzpatrick's previous two events in NASCAR Nationwide Series resulted in a 11th and a 18th place finish.